Stephen King movies can be difficult to pull off as there is always the trick of condensing those big books down into a 2 hour time slot. Thus the key is capturing the essence of the book. 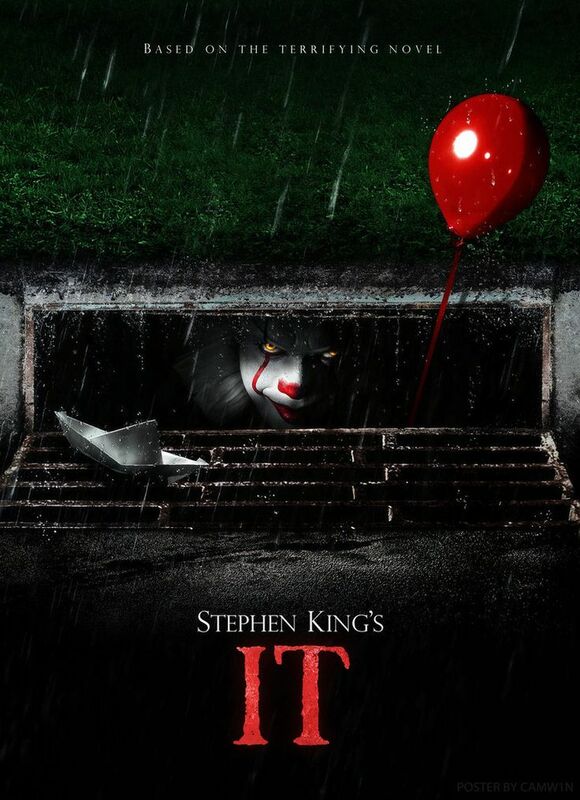 With Andy Muschietti’s version of It, they capture the book perfectly. It’s not completely accurate to the book, but the essence is there and it feels like the same story. From the casting, to the dialog to the scary clown, this film nails it. Back in 1990, they tried to bring the story to life with a television mini-series, but it’s pretty rough to watch. Thankfully, this version of It is leaps and bounds better. The casting for the kid actors is spot on and they form a great ensemble. Each fall perfectly into their roles which helps the viewing audience get attached and invested in the story. There’s time to get to know each of them a little, but all the while the creepiness of the town of Derry sets in. The writing does a great job of keeping the story flowing and continually interesting as things get creepier and creepier. It tackles the struggles with bullying, losing a sibling, abusive parents and the ability to overcome everything by finding strength in the friends around you. Even when the greatest danger is an evil entity that takes the form of a clown. No matter how good the child actors, the writing, the cinematography, the setting or the soundtrack is, Pennywise the clown is an essential element to the story of It. Without the clown, the story doesn’t work. It’s one of the only redeeming qualities with the old tv mini-series. Yet as good as Tim Curry was in that project, Bill Skarsgård does it better. While he doesn’t get a ton of screen time, what scenes he does get are perfect. He captures the duality of a creature that can lure in children with its own childish nature, yet can also harbor the desire to kill that very innocence. From his cadence, to his movements, he exudes creepiness. Heck, Skarsgård was even able to make his eyes move in different directions (without CGI) to add to the strangeness of the performance. But when you do add in the camera work, the editing and the CGI, it completes the transformation of a scary clown into something nightmarish. Keep in mind that this is only chapter one of a two part movie. This one captures the kid’s story as they confront the clown and score their first victory. In chapter two, they have to come back as adults to finish the job. Yet this movie does a great job of feeling complete on its own. It’s satisfying, scary, and at time funny. It’s also worth seeing again. As someone who has read the book and seen the tv series, I can say this is a great version of the story. I highly recommend checking it out and I give it a five out of five metal bikinis.